Below you can view all the homes for sale in the Summer Valley subdivision located in Aurora Colorado. Listings in Summer Valley are updated daily from data we receive from the Denver multiple listing service. To learn more about any of these homes or to receive custom notifications when a new property is listed for sale in Summer Valley, give us a call at 720-580-6694. Cherry Creek School District. No HOA! MLS#2512105. Keller Williams DTC. HOA is optional. Cherry Creek School District. MLS#6444346. HomeSmart Cherry Creek. Large Back Yard with Walking Distance with Summer Valley Park MLS#7886133. Brokers Guild Classic. Highly coveted Cherry Creek Schools District further enhances the appeal of this community! MLS#2334663. Atlas Real Estate Group. This house is ready for your touches and some sweat equity will make this home shine. MLS#9098772. RE/MAX ALLIANCE. New interior and exterior custom paint, New carpet, new plank floor, new white kitchen cabinets with new slab granite tops , new stainless steel appliances except the refrigerator, new sinks, new faucets, new vanities , fenced in yard with automatic sprinkler system, new garage door with opener, new 2 panel doors, new locks and hinges, 3 bedrooms, large master bedroom in upper floor with 3/4 bath, large corner lot. Cherry Creek School District. MLS#3153971. ALPHA 1 INTERNATIONAL INC.
Central air conditioning and a brand-new water heater installed earlier this year add comfort & peace of mind. MLS#6909351. RE/MAX Cherry Creek. * Large backyard with fire pit, shed, privacy fence & alot of grass area for entertaining or kids play. * 2-Car Garage MLS#2559251. Keller Williams DTC. 2 addit upper bedrms share a reno’d full bath.Brand New Basement with guest bedrm +room to expand as you need.Fabulous backyard with custom all season room with frlp,water feature,perennials,sprinkler,Shed with electrical-great for summer BBQ’s.2 car attached Garage with Heater+direct access inside.New Exterior Paint,Roof,Interior Paint-Nothing left to do.You’ll love the Lifestyle close to everything-Easy access to Cherry Creek Shops,Restaurants+trails MLS#6838216. RE/MAX ALLIANCE. An over-sized 1-car garage and a wide gate to the back yard allow for storage of all your toys. MLS#5441407. HomeSmart Cherry Creek Properties. Home comes with a 30-day buyback guarantee. Terms and conditions apply. MLS#9515336. Opendoor Brokerage LLC. This home has been loved and it shows, come make it yours! MLS#6312031. The Group Inc - Centerra. The two car garage provides plenty of space for parking and storage. See it before it’s gone! MLS#4085795. Keller Williams Integrity Real Estate LLC. Just a little TLC and it shines! MLS#7633361. COLDWELL BANKER RESIDENTIAL 24. Fantastic location with close access to highways, shopping, trails, Quincy and Cherry Creek Reservoirs. MLS#2423786. KENTWOOD REAL ESTATE DTC, LLC. Other details include new interior paint, RV parking, large yard with privacy fence, Move in ready, Very Clean, Close to shopping! Cherry Creek Schools!!! !Must see!! ! MLS#2763004. MB METRO BROKERS REALTY OASIS. Ready to move in and enjoy. MLS#9482302. MB The Anderson Group Network. Showings begin on April 20th...with an Open House from 10:00 - 4:00! MLS#2014465. RE/MAX ACCORD. Cherry Creek Schools, close to public transportation, shopping, entertainment. Perfect starter home! 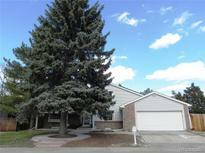 MLS#7359446. COX REAL ESTATE GROUP. This home is well-located near major highways, Cherry Creek State Park, downtown, the Tech Center and DIA. Set your tour today! MLS#8873744. Atlas Real Estate Group. Showings start February 2nd with open house 11am to 1pm. Come See this lovely home! MLS#8323714. RE/MAX ACCORD. Show it, Love it, Sell it! MLS#5612114. Your Castle Real Estate Inc.
Do not miss this property, it will not last! ! MLS#7401016. eXp Realty, LLC. Added 2nd electrical panel (2009). Motorized chair lift (negotiable). MLS#1803133. HomeSmart Realty Group.